Convert a simple barbell bar into a versatile training tool for doing several press, traction, and rotation movements with the Taurus Core Trainer within few seconds. It is perfect for developing strength, stamina, and coordination for torso and trunk muscles. Either exercising alone or with a partner - the SKLZ resistance tube Recoil 360 helps to exercise stamina, explosiveness, and strength. The tube can be stretched to 6 m and is equipped with a 360° belt for maximum mobility. The SKLZ Hurdles (pack of 6) feature a flexible shape, making them almost indestructible. 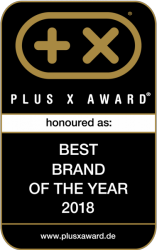 The compact dimensions and the low weight make them the ideal companion for travelling or leisure time. The Taurus coordination ladder is a functional fitness equipment for coordination workouts. 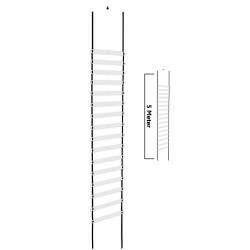 The fitness ladder is very stable and excellent for exercising types of ball sport like football. 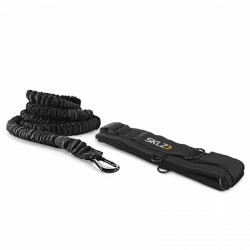 The coordination ladder SKLZ Quick Ladder Pro 2.0 features an easy and very practical folding mechanism. 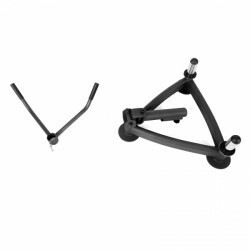 Assembling and disassembling is very quick and due to the stiff connection, knotting is not possible. 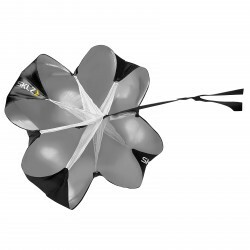 The SKLZ Speed Chute sprint parachute can be used for exercising speed, stamina, acceleration, and strength. Fixation is quite easy. The rotation belt guarantees an optimal mobility. 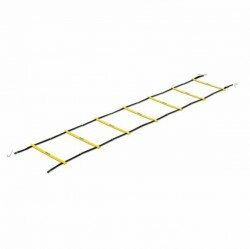 The SKLZ coordination ladder Elevation Ladder is a perfect combination of the SKLZ Quick Ladder coordination ladder and the foldable SKLZ speed hurdles. Train your flexibility and speed with the coordination ladder. The Nike Laterial Resistance Band 2.0 is an ideal training tool for improving the lateral speed. Using the Nike Laterial Resistance Band 2.0, you do a simply intensive and effective training. Quickness training advances all facets of speed and improves your athletic performance . That is why speed/quickness training is relevant to many sports. Determining factors for quickness are the reaction speed, quickness (accelerating power) and quickness endurance. If we look at individual sports we find that for football the quickness of actions is especially important, whereas in martial arts and boxing speed of reaction and quick reflexes are of special importance. Our quickness & speed training range is versatile in use and allows for various training options for functional training and ball sports. An individualised and goal oriented training programme with our products can greatly improve your quickness, coordination, reaction time, stamina and power.